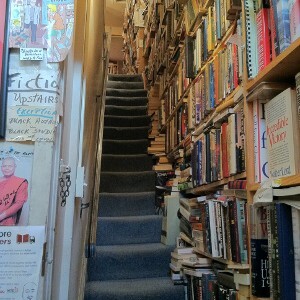 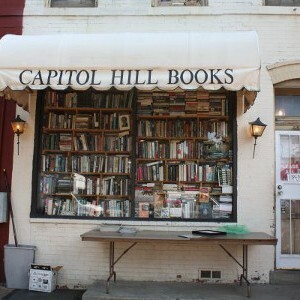 We don’t think we have ever seen so many books in such a small space, the books literally are stacked from the floor to the ceiling… introducing Capitol Hill Books in Washington DC, selling thousands of second-hand books (including first editions) across two floors! 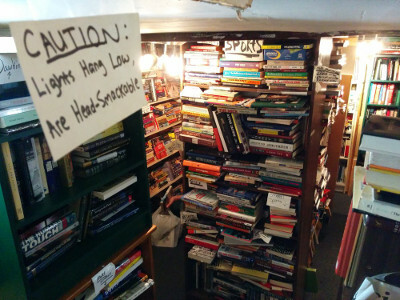 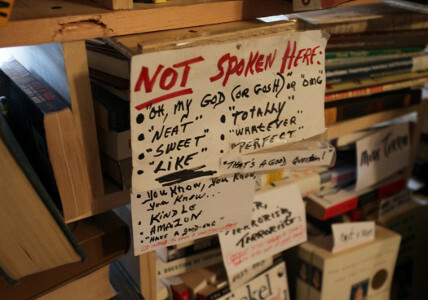 The bookshop is located in a converted row house, and unlike any other bookstore in the world, you will find foreign language books in the bathroom, cookbooks in the kitchen sink, and business books in the business closet. 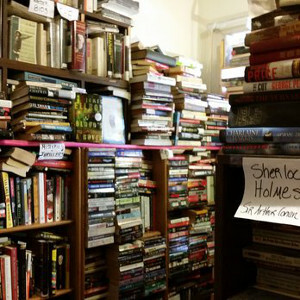 There is also a Fiction Room, and Mystery Room and a Weird Section full of all books associated with witches, wizards, ghouls and dreams. 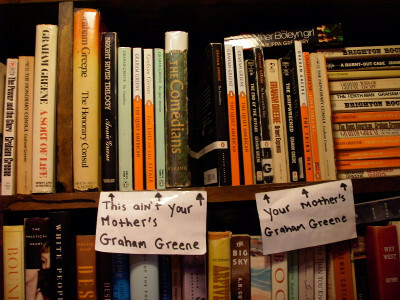 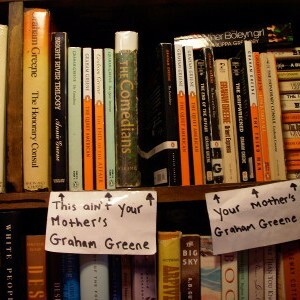 The best thing is, that because all of the books are used, the prices are dirt cheap. 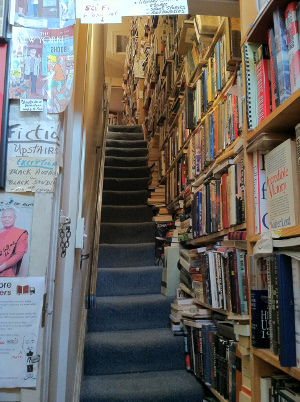 bookshop is not for those who are claustrophobic or deterred by apparent chaos and clutter – we just love all things bookish! 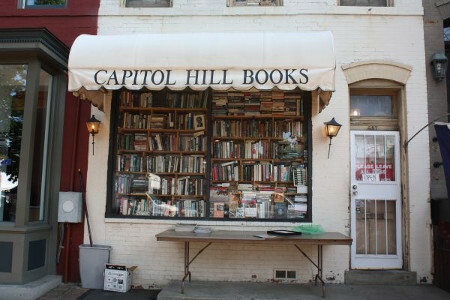 If you are visiting Capitol Hill, don’t miss the chance to visit Capitol Hill Books – we guarantee that you will not be disappointed! 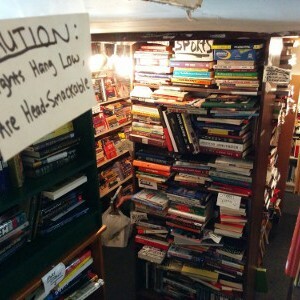 However, be aware of the light bulbs, as another notice states that “Lights Hang Low, Are Head-Smackable”.